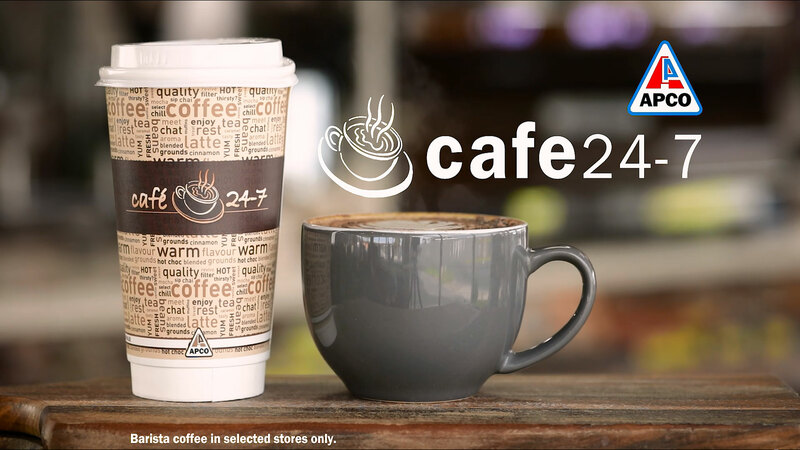 Cafe 24/7 delivers cafe quality coffee for 24/7! Cafe 24/7 stores have professionally trained baristas to make you the perfect coffee each and every time. We have an amazing selection for healthy Sandwichs, Wraps, Rolls, Focaccias and even Burgers available at our Cafe 24/7 sites! And of course we have a couple of dimmies ready! We strive at APCO to deliver outstanding customer service as we understand our customers are important to us! Get in contact with us here if you have any feedback for us! We currently have 16 Cafe 24/7 Sties around Victoria. Vist our Contact Page for a list of all the Cafe 24/7 locations. We look forward to seeing you!